Shokan Valikhanov’s name (1835-1865) borrows a place of honour in history of culture and a socially-scientific idea of Kazakhstan. This outstanding scientist and educator has undertaken a lot of rather fruitful scientific researches in the field of geography, histories, ethnographies, folklore of people of the East and has made the travel interfaced to huge dangers in mysterious at that time the countries. To one of the first among the compatriots he promoted distribution to the Kazakh steppes of progressive ideas, has played a noble role in strengthening friendship of Russian and Kazakh people. In the works and all activity he has proved, that Kazakhs” are connected with Russian by historical relations and even consanguinty”. Shokan has received education in Omsk where since the middle of XIX century the progressive ideas of Russian public idea have been strongly widespread. Here he has got acquainted with writer F.M.Dostoevsky, outstanding scientists-geographers P.P.Semenov-Tjan-Shansky, scientific-orientalists N.Berezin, N.M.Yadrintsev and others which have rendered solving influence on formation of its outlook. The Siberian cadet school in Omsk where Shokan Valikhanov studied was considered as one of the best educational institutions of that time. Many outstanding public figures and scientists were its graduates. 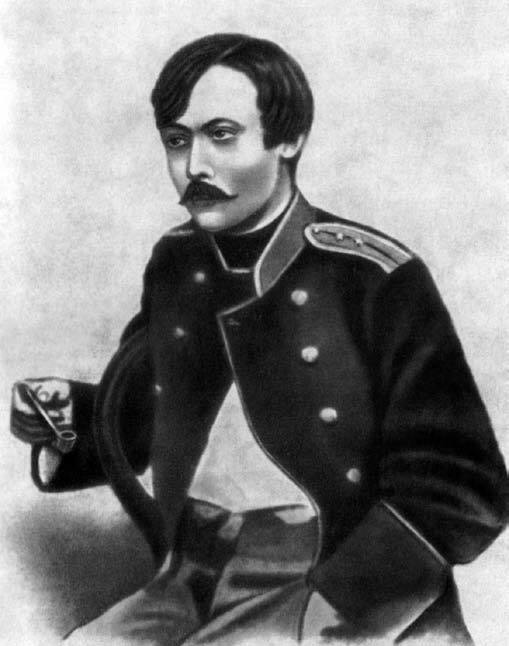 After the finishing of a cadet school (1853) Shokan accepts active participation in the decision of a question on peace connection of Kazakhs of the Senior zhuz and Issyk-Kul’s Kirghiz to Russia. To stop influence of Kokand khanate in Semirech’ye (“Seven river region”) to Russia, the imperial administration used the young Kazakh officer in negotiations with local population. Carrying out this important mission, Shokan simultaneously used the trips for studying geography, history, customs and a life of Kazakhs and Kirghiz. In 1855 Valikhanov has taken part in a trip of General Gasfort across the Central Kazakhstan, Semirech’ye and Таrbagatay. This trip has left indelible impression on the young traveler. For the first time he has widely familiarized with an environment of Kazakhstan and a life of people. In 1856 Shokan takes part in the military-scientific expedition organized under direction of Colonel M.M.Khomentovsky. The purpose of expedition was acquaintance with Kirghiz people, geographical studying of its territory, and survey of pool of Issyk Kul Lake. In a member of expedition there was a group of topographers led by Yanovsky. Sh. Valikhanov has made a number of trips to vicinities of lake on several routes together with P.P.Semenov-Tjan-Shansky with who has got acquainted and made friends in Omsk in the spring 1856. In August, 1856 Shokan goes to the Kuldzha. The primary goal of a trip was realization of negotiations with the Chinese authorities concerning adjustment of trade relations with China, interrupted after Russian trading station in the Chuguchak city has been burnt. Valikhanov should realize complex diplomatic mission connected with the decision of disputable boundary questions. This important assignment has been executed by him successfully. Having stayed in Kuldzhinsky land about three months, Shokan has familiarized with physical-geographical conditions of territory, a life and history of people. In 1857 Shokan again makes a trip to Alatau’s Kirghiz which was trial step before expedition to Kashgar. Valikhanov has even more close familiarized with a life of Kirghiz people, has studied its history, ethnography and national poetry. As a result of tireless work he has saved up an extensive historical-ethnographic material. It is especially important, that the young researcher for the first time has paid attention to the well-known poem of Kirghiz “Manas”, has made its first scientific record and translation into Russian. Scientific results of Sh. Valikhanov’s investigations at 1856-1857 are reflected in its traveling sketches “ The Diary of a Trip to Issyk Kul “, “ The Geographical Sketch of Zailijsky Land “, “ The Western Province of the Chinese Empire and Kuldzha “, “ The Note About Kirghiz “, etc. Sh. Valikhanov’s researches by means of P.P. Semenov-Tjan-Shansky became known in scientific circles of Petersburg. P.P. Semenov-Tjan-Shansky petitioned before Russian geographical society for Sh. Valikhanov’s acceptance in its full members. He has made also responses about Shokan Valikhanov’s works and the recommendation together with E. Lamanskim. Shokan Valikhanov’s election as the full member of Russian geographical society has occurred on February, 21st, 1857. It meant recognition of outstanding merits of the young scientist before Russian science. Shokan’s travel to Kashgaria, created to him glory of the brave traveler, took place at 1858-1859. It has been interfaced with the big danger as Kashgaria has been at that time closed for Europeans. In these conditions it was very dangerous to work and collect scientific data about Kashgaria. Shokan has collected a rich actual material about the political and economic device of the country, history and ethnography. Having got acquainted through Kokand’s with political and trading figures, representatives of culture, he has heard the most authentic data on the past and present Altynshar. In Kashgar Shokan has thoroughly mastered Uigur language. In his archive the records made by him in Kashgar in Uigur language were kept. In the end of February, 1859 political conditions in Kashgar become aggravated. The way back laid through pass Turgart, to the south of Terekty. From Turgart the caravan has directed on high-mountainous Lake Chatyrkul about which the scientist has heard many historical legends. Shokan was the first traveler-investigator who has visited this most beautiful lake. Therefrom through valleys the caravan has left on the Kokand’s strengthening located on right bank of Naryn River. Further the caravan do to a northeast direction, upwards on Naryn River, also has crossed the great caravan road leading to Issyk-Kul valley. Then through east bank of Issyk Kul Lake and Zailiisky valley he has arrived to Vernyi sity. Travel to Kashgar has strongly upset Sh.Valikhanov’s health. Owing to the deprivations tested during travel, physical works and shocks from dangers, he was ill and could not go to Petersburg with the report though there waited him arrival with impatience. Sh.Valikhanov has arrived to Petersburg only in the end 1859. Russian scientists have met him as the brave traveler-investigator, the deep expert and the researcher of Central Asia and Kazakhstan. P.P.Semenov-Tjan-Shansky petitioned before the government about retain of Valikhanov in Petersburg for scientific employment. It has been taken at the staff the Asian department, simultaneously cooperated in Military-scientific committee of the Joint Staff, in the Ministry for Foreign Affairs, in Russian geographical society. Here Shokan prepared the works for publication in editions of the Geographical society - “Sketches About Dzungaria”, “About Altynshar Condition, or six east cities of Chinese Province Nan-Lu (Small Buharin), in 1858-1859”, etc. His works have been published in “Transactions of the Geographical society» (1861). In the spring 1861 due to Sh.Valikhanov’s state of health has been compelled to leave Petersburg. It has gone to native steppe. In 1864 he has been invited in military expedition of General Tchernyaev, to which problem was connection of Southern Kazakhstan to Russia. But soon Shokan has been compelled to leave therefrom. In his opinion, connection should occur by peace, but imperial General Tchernyaev, a conductor of colonizer policy of tsarism, resorted often to bloodshed. Shokan, dissatisfied with it, has left expedition and has come back in Vernyi. Premature demise of an outstanding son of Kazakh people, the large scientist and the traveller-investigator has come in April, 1865 Sh.Valikhanov’s scientific merits as researcher of Central Asia, Kazakhstan and East Turkestan has been recognized by a world science. Its works were printed in Russian, English, German and French languages. They have been adequately estimated by Russian scientists P.P.Semenov-Tjan-Shansky, I.V.Mushketov, N.I.Veselovsky, N.A.Aristov, N.I.Berezin, G.E.Grum-Grzhimailo, G.N.Potanin, etc. In 1904 the Geographical society had been carried out the edition of compositions of Sh.Valikhanov. In the foreword to the edition academician N.I.Veselovsky wrote: “As the brilliant meteor has flown above a field of oriental studies Shokan Valikhanov. Russian orientalists have unanimously recognized on behalf of its phenomenal phenomenon and expected from him great and important revelations about destiny of Turkic people, but premature death of Shokan has deprived with us these hopes”. Sh.Valikhanov has left after itself an extensive scientific heritage. It has had time to write a number of the important works, devoted to history, geography and ethnography of people of Central Asia and Kazakhstan, and also a plenty of products on political themes. Sh.Valikhanov well knew a number of East and European languages that has allowed him study in the original many ancient East and European sources, concerning histories and geography of people of Central Asia and Kazakhstan. He worked as well above texts of some the books written on Persian, Arabian and the Turkic languages. In Petersburg, in the higher school at the Asian department he taught Turkic languages for the persons working in Central Asia. Among Sh.Valikhanov’s proceedings huge interest is represented with its researches, devoted to historical-geographical review of Semirech’ye, Issyk Kul Lake, Tjan-Shan and East Turkestan. Research of Central Asia was his old dream, and he has devoted it the life.